Whoop! It's Friday again and I'm participating in this week's blog hop. It's an awesome initiative by the brilliant ParaJunkee and Alison Can Read. So, the question this week is! 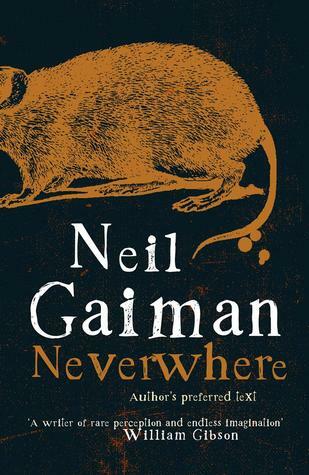 I'm currently reading Neverwhere by Neil Gaiman. It's an interesting story so far, and straight up urban fantasy. It features a guy called Richard who was basically in the wrong place at the wrong time. He helps out a girl from 'London Below' (the magical city beneath London), and as a result suddenly stops existing in the real world. Because of that choice he's stuck and is forced to try and make a life in London Below. Him and a few others need to get to Islington to look for an angel. So what do I think? Hmm... it reads like it's trying to be something it's not. That's a little frustrating. The good thing though, is that it is quite comical and does not take itself too seriously. The jury is still out on this book though, and I wouldn't wanna write too much - otherwise I'd have nothing left to say in the actual review! Haha! This book looks kinda dark and gritty - well thats the vibe I'm getting from the cover anyway lol! Passing through and saying hi.I like your layout! I really look forward to your posts. Hopping through. Oooh...Neil Gaiman. I need to read more of his books. Stalker, lol! I just had to start off with that. I'm following via Blog lovin, GFC, and Networking blogs so every which way I could lol. I haven't heard of this book you posted about but I have heard of the author and he's very well loved.